Delta Force Paintball in Lichfield wins Centre of Excellence Award! 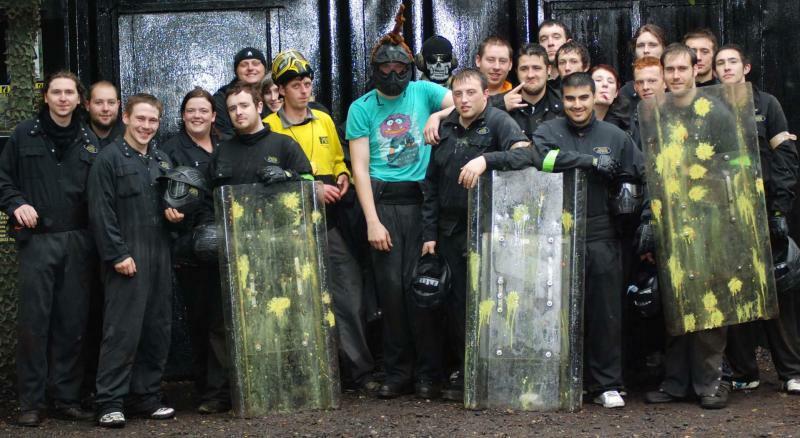 Congratulations to Delta Force Paintball in Lichfield for winning the most recent Centre of Excellence Award! Regarded as one of the most prestigious awards within the paintball industry, the quarterly Centre of Excellence award is awarded to the best paintball centre in the UK and it is assessed on a wide range of criteria. This includes customer feedback, facilities, equipment, player numbers, health and safety and centre development. Points are awarded for each quality assessment, with bonus points allocated to top performing centres in customer service and customer satisfaction. Ever since its opening in 2005, Delta Force Paintball in Lichfield has fast become one of Delta Force’s most popular UK paintball centres as it offers customers exciting game zone scenarios including one of the coolest jungle game zones in the country as well as introducing riot shields into the paintball games. Delta Force Paintball Staffordshire didn’t just win the Centre of Excellence award based on its impressive game day; the sheer amount of customer feedback we received from our Lichfield customers was astounding and unanimously positive! Previous winners of the quarterly Center of Excellence award in 2010 were Delta Force Paintball in Milton Keynes, in June and Delta Force Paintball in Effingham, Surrey back in March. If you fancy playing paintball in Lichfield or at any of the other Delta Force Paintball centres across the UK then give our booking office a call on 0203 869 9301and find out what makes Delta Force the most professional and popular paintball company in the country.